UPDATE!!! 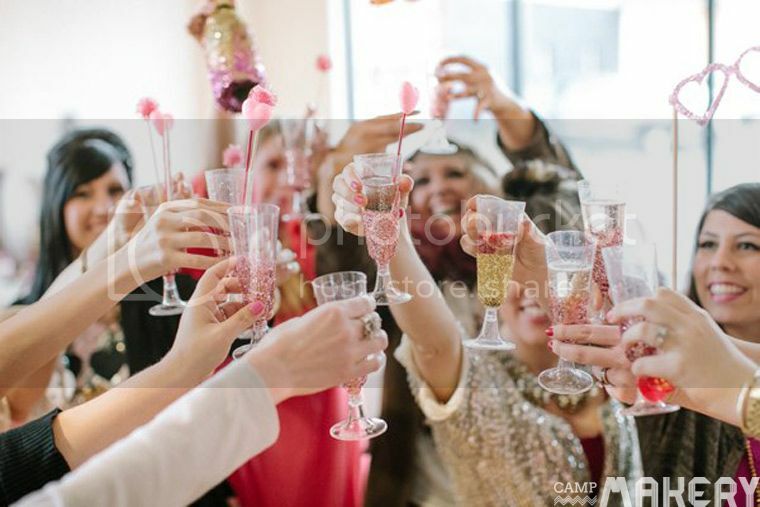 If you're looking for the DIY instructions for Andrea's amazing Glitter Champagne Bottles as seen on the Pottery Barn Blog, they are right here! A girl's gotta eat, right?! We asked each invitee to bring a sweet treat to share. 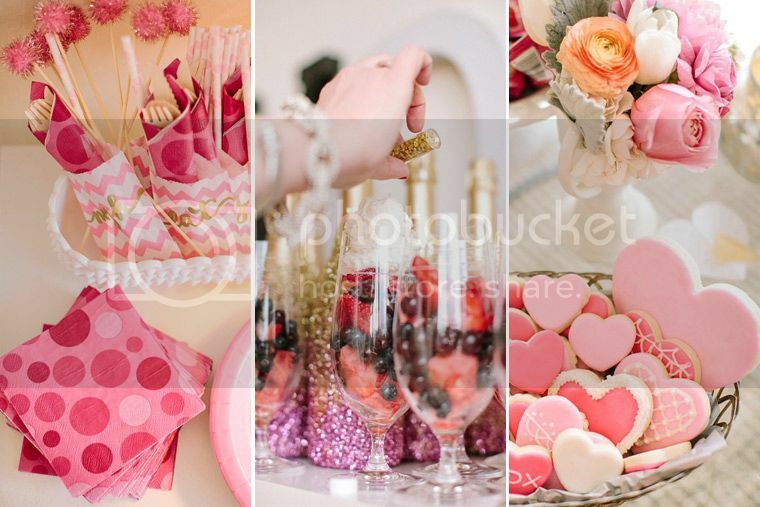 The result was a beautiful spread that included homemade sugar cookies, fresh berries and cream, and an interesting take on candied popcorn. More on that in a later post. We provided utensils, dishes, napkins, drink stirrers, and the like- all disposable! Who wants to clean dishes while suffering from a sugar (and champagne) coma? Speaking of champagne, the above images are some that you might recognize. 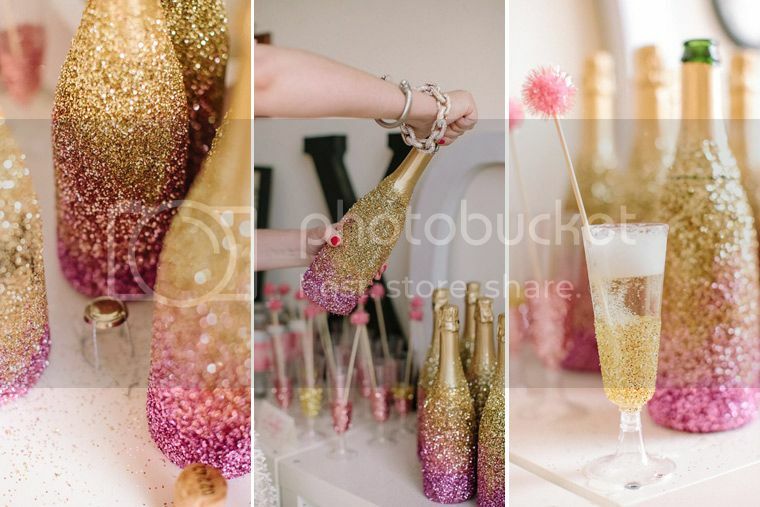 Andrea seriously outdid herself with these glitter ombre champagne bottles and her husband didn't even leave her after she turned her backyard (and her dog) into a glittery fairy wonderland (and a glittery fairy dog) in the process! He's a good man. We will be sharing our secret for bedazzled bubs in a later post! 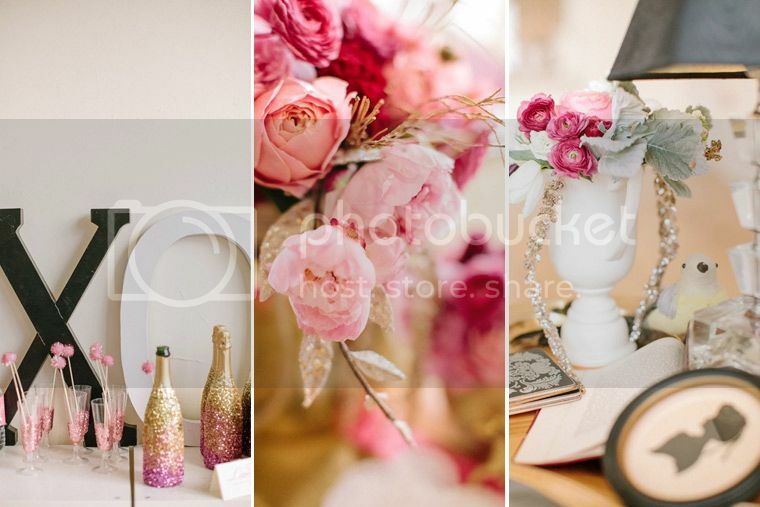 With all of the pretty happening around us, there wasn't much need to go crazy with additional decor. That's the beauty of throwing a party like this. All of the food, drink, and activities are so darn sparkly and gorgeous that they provide all the decor for you! Well, almost all of the decor anyway. After all, we threw the party at the incredible Seed Studio, owned by our very magnifiscent event designer friend Juli Vaughn. Juli not only hosted, but she also provided some absolutely stunning florals. Keep a lookout for my post on decor details where I will share some tricks of the floral trade I've picked up from her! 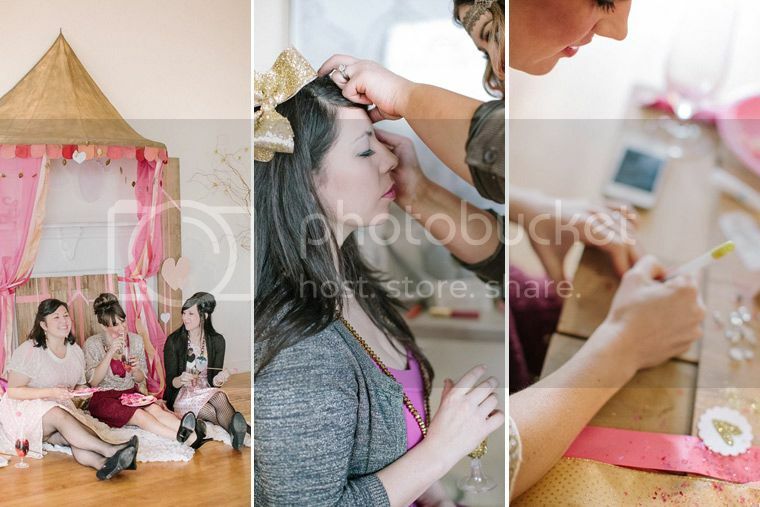 Speaking of pretty activities, how about a super girly fort, a lips and lashes station, a dress up station, and a valentine making table? That's what we treated our guests to- along with some pretty little treats to take home. Yup, you guessed it, we will share all of the details in coming posts! Make sure you like Camp Makery on Facebook so you know as soon as we share more fancy, frilly details! Trust us, this is gonna be good!